Looking for a cute appetizer for your next Christmas party? This is a favorite and so easy to make! 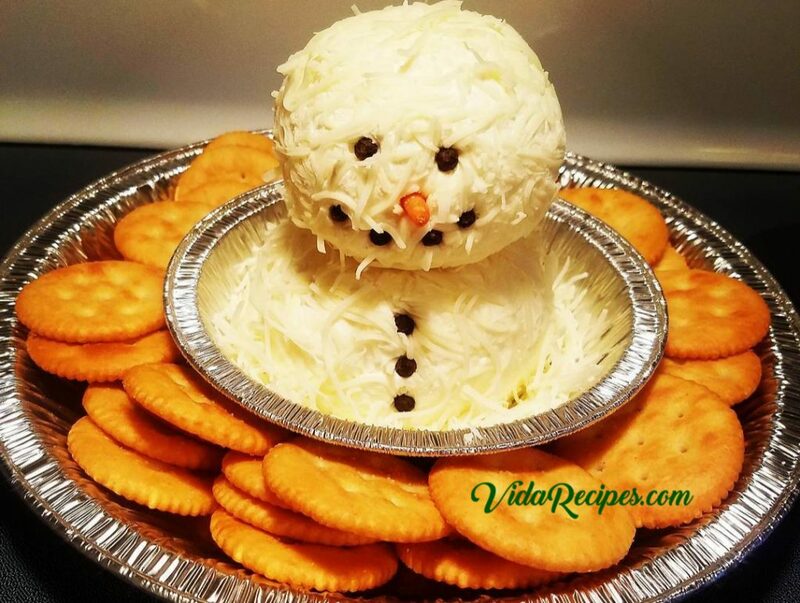 This little snowman is the perfect appetizer to bring to your next get together! Thanks to Amanda Stortz for this awesome recipe! Mix the garlic into the cream cheese. Arrange on a plate with crackers, chips, or what ever you desire.